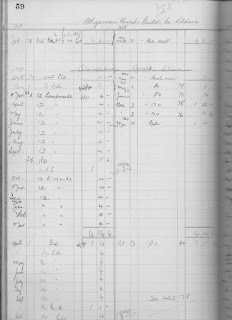 In my last blog I wrote about the various stages of work that an archivist does in preparing a collection to make it accessible in the reading room. 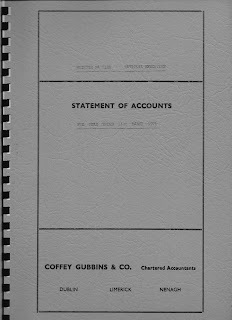 Having completed the arrangement (almost) I have now started describing the collection. 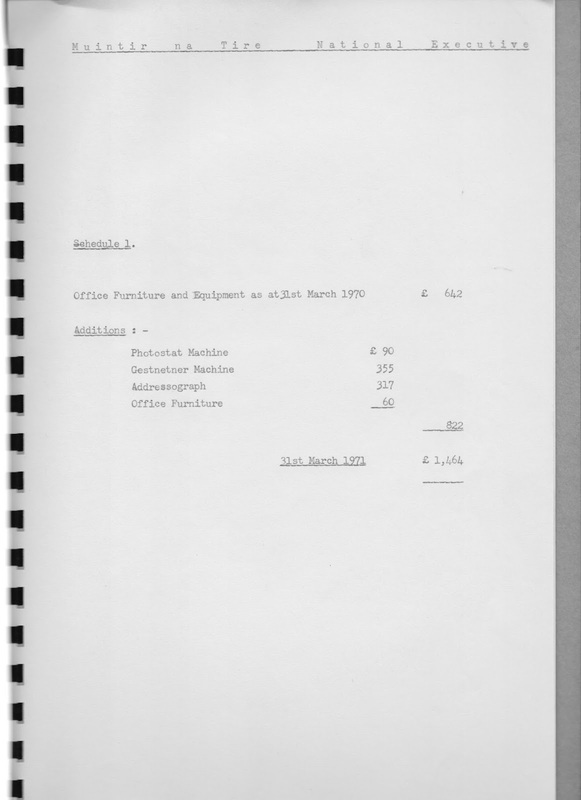 These descriptions will provide researchers with sign posts to what is contained in a file or bound volume. 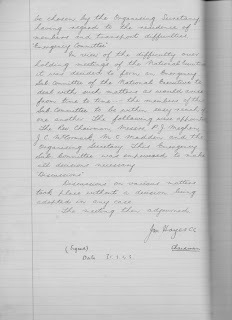 The material I have been cataloguing in the collection so far has been mainly financial records and governance records of Muintir na Tíre. 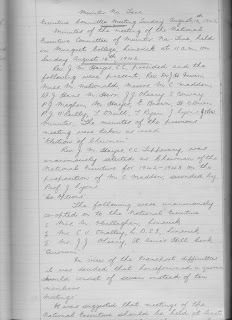 The financial records of Muintir na Tíre contain various ledgers detailing membership, income and expenditure, annual reports and petty cash books. 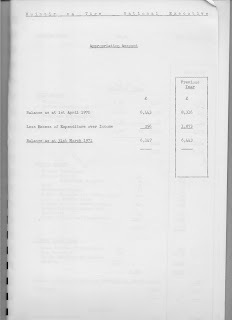 The annual reports of Muintir na Tíre date back as far as 1945. 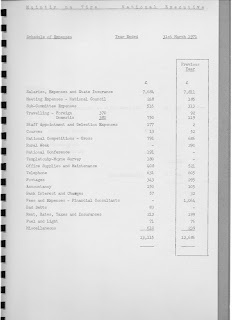 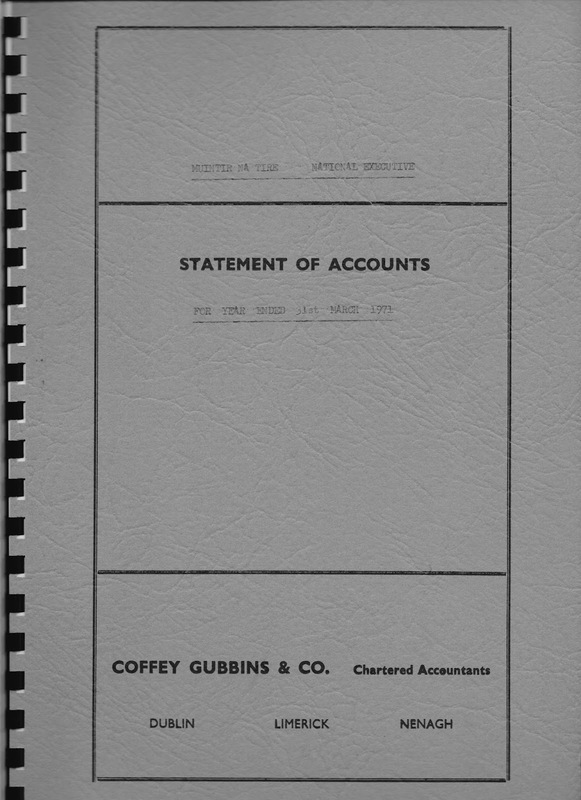 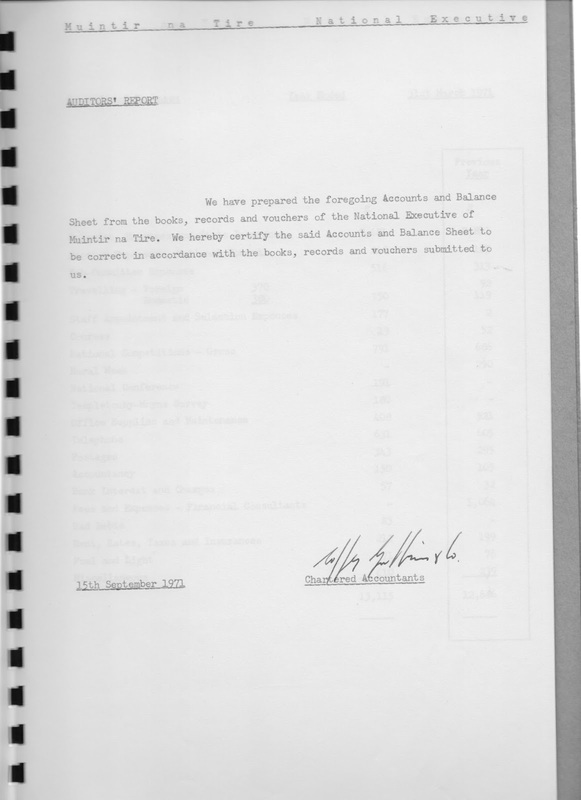 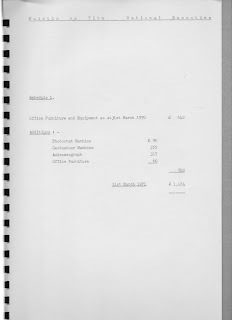 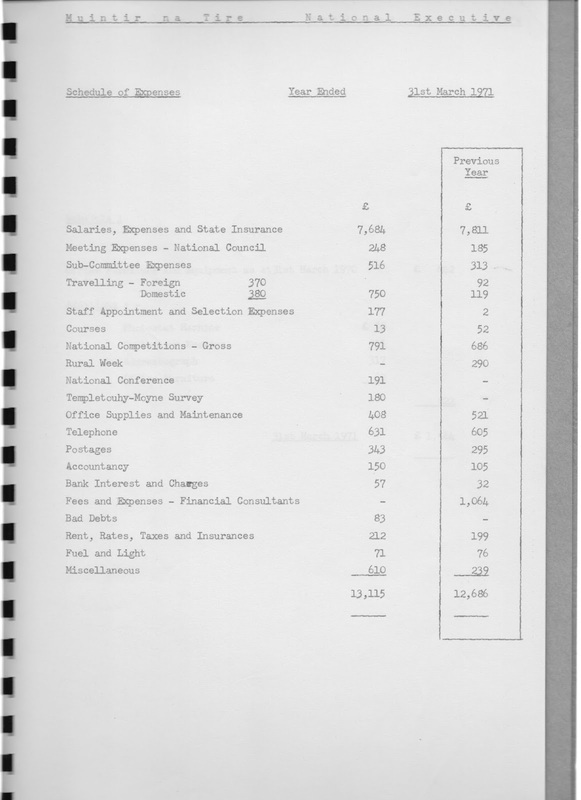 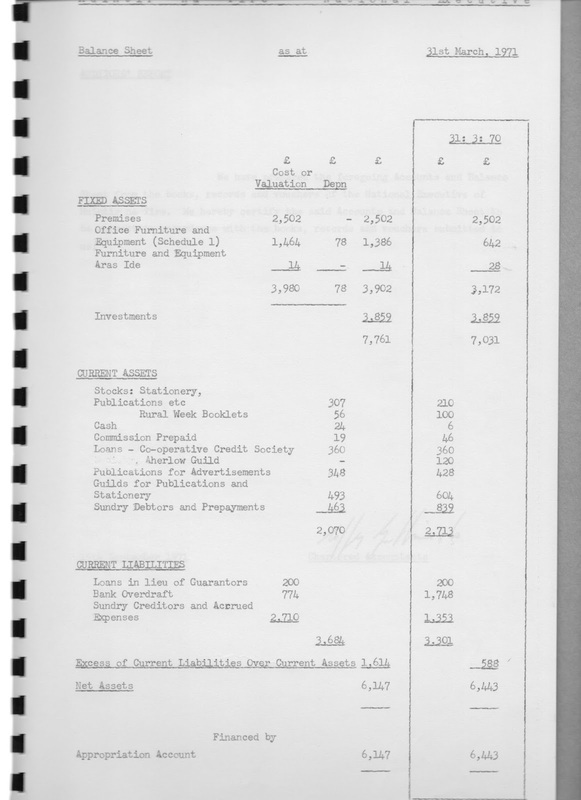 Below is an example of the annual report from 1974. 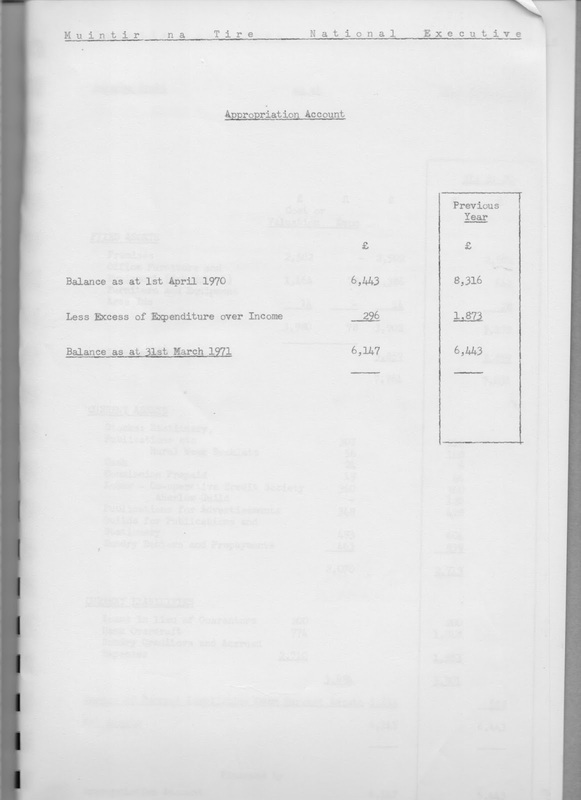 These records provide a great understanding of the financial position of Muintir na Tíre throughout its history. 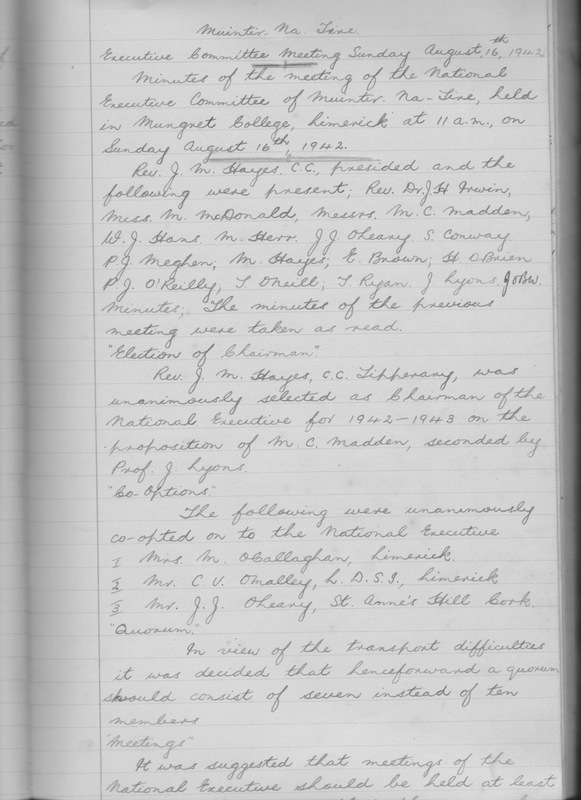 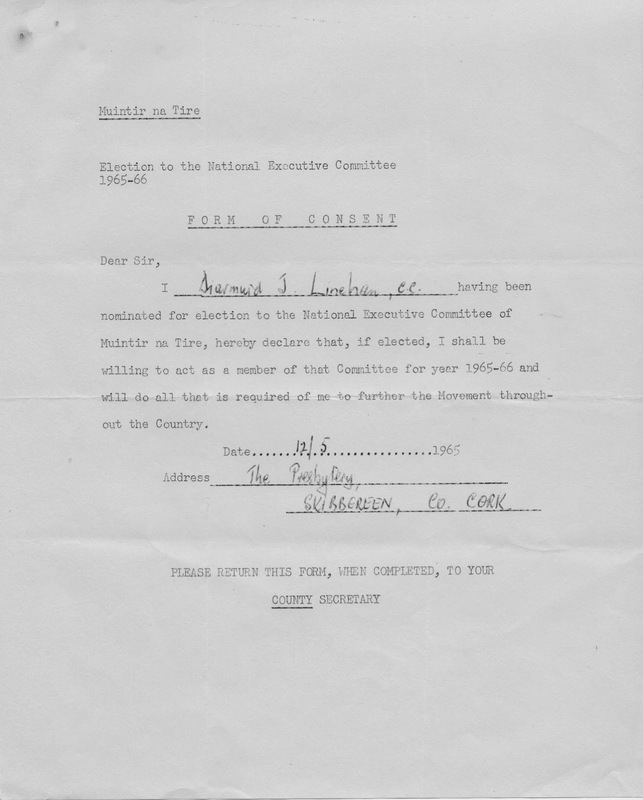 The ledgers dealing with membership provide us with the details of the guilds and community councils who registered as members with Muintir na Tíre. 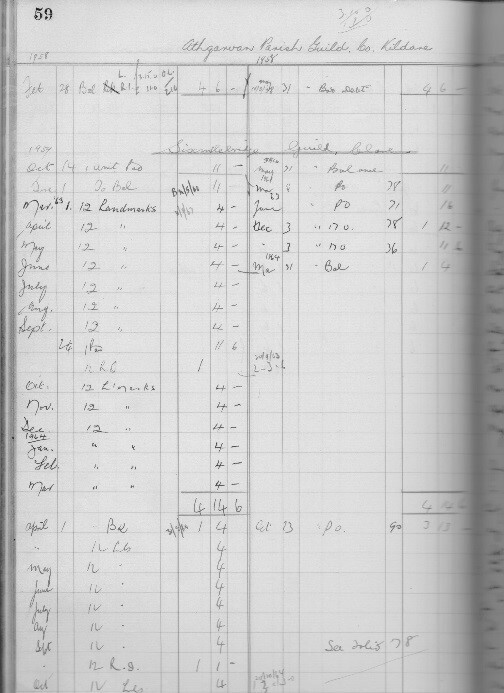 The Guild’s Ledgers contain information on the subscriptions that guilds had for Landmark. 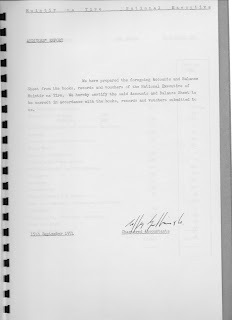 Below is an example of this. 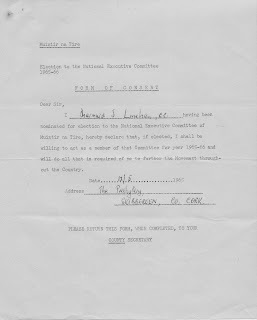 All this valuable information provides us with evidence of the number of guilds/community councils that were members of Muintir na Tíre down through the years. 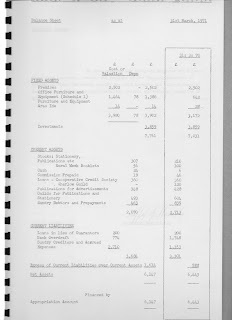 We can ascertain the history of guilds/community councils for the last 80 years from these records as well. 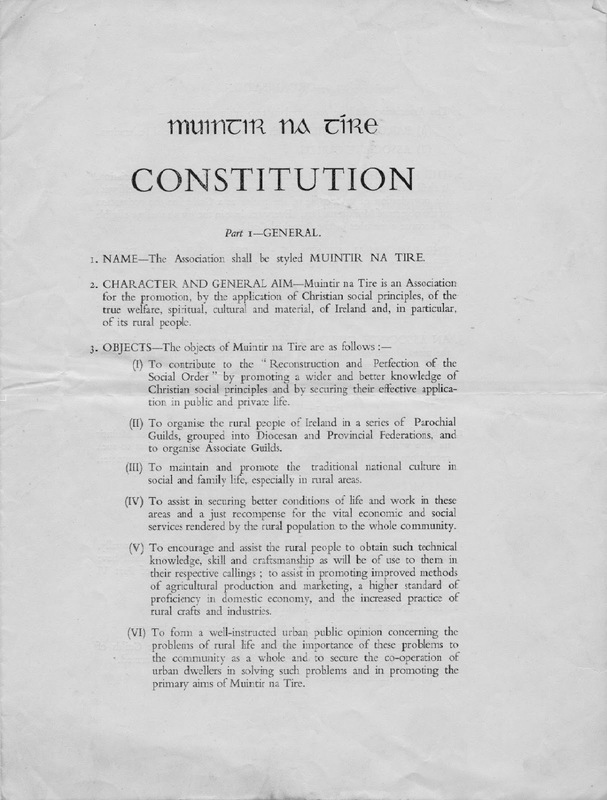 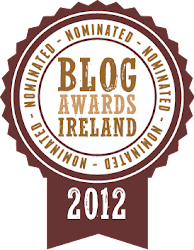 A constitution has been used as the governing method of Muintir na Tíre since its foundation. 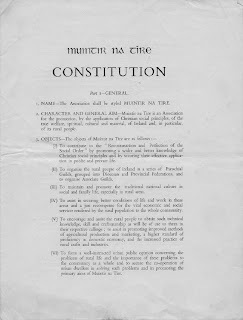 The constitution has been amended over the years to reflect the development and different ways of working of Muintir na Tíre. 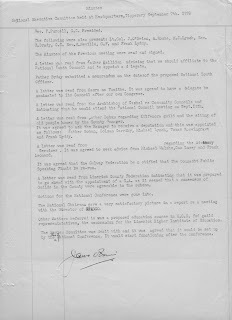 In 1996, Muintir na Tíre became a Company Limited by Guarantee and now has a memorandum of understanding and articles of association. 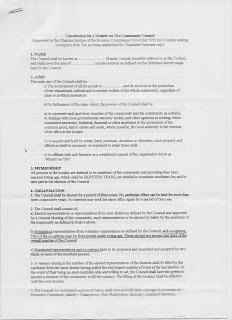 They developed guidelines on setting up a community council and they provided a template for the constitution they required if setting up the council as a company limited by guarantee. 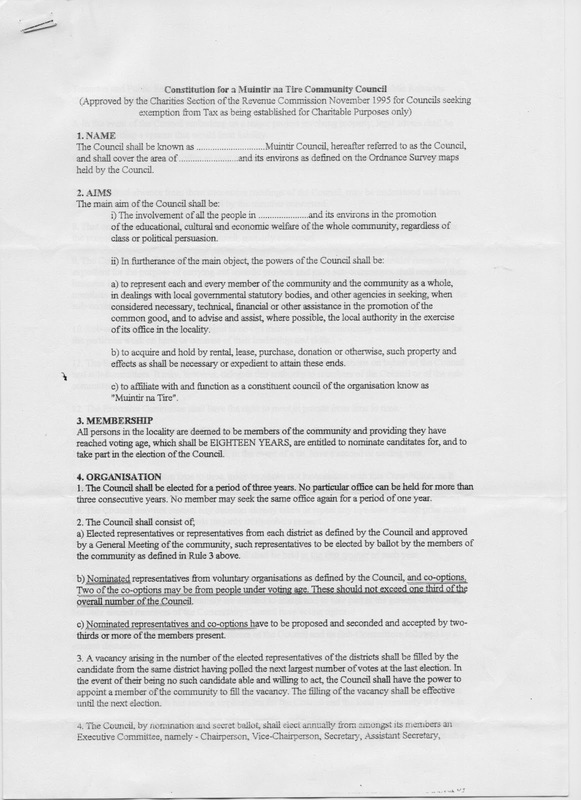 Examples of some of the constitutions is provided below. 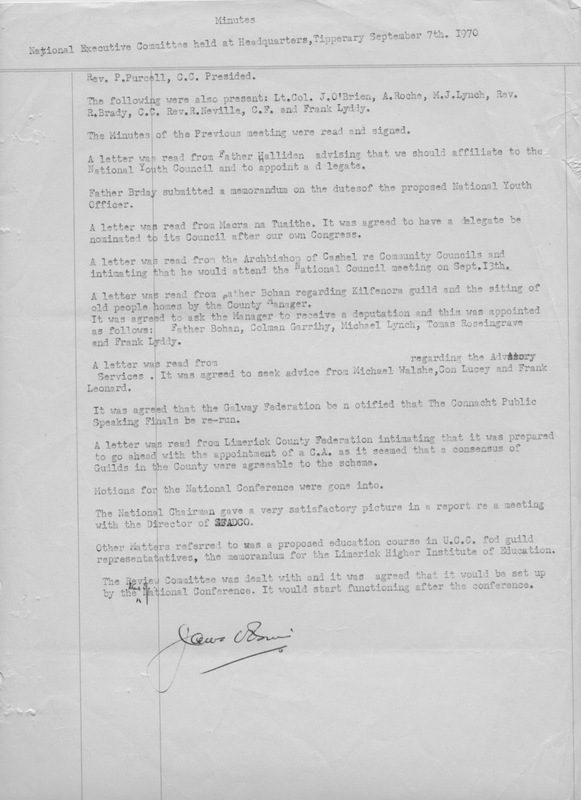 We also get an understanding of the election process in Muintir na Tíre. 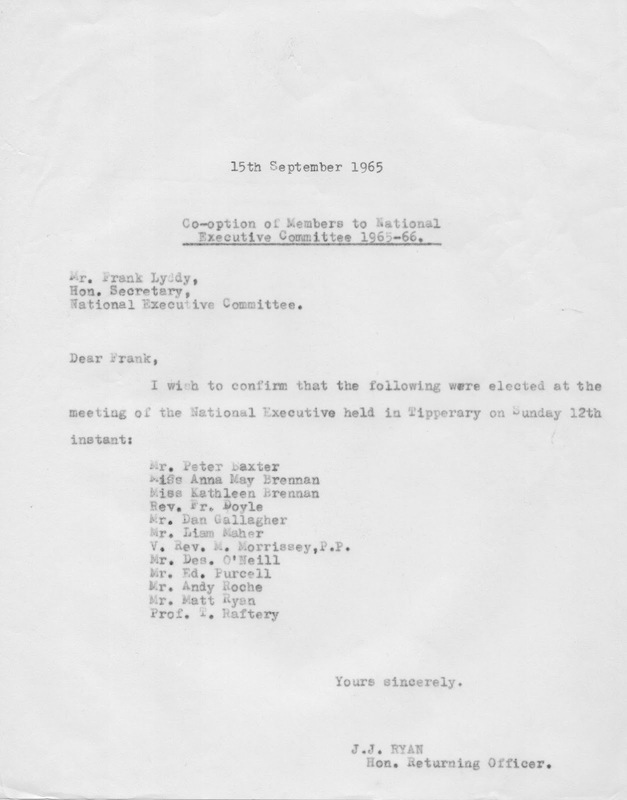 The Honorary Returning Officer was a busy person organising and managing the election process from the nominations to confirming the names of those elected. 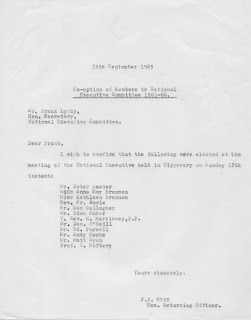 We see the variety of individual who were nominated and got involved in the National Council. Finally, we also get an understanding of the decisions made by the National Council of Muintir na Tíre. 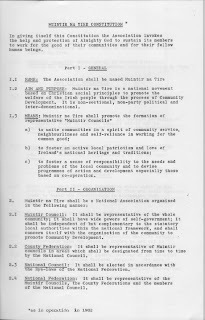 The minutes of the National Executive committee meetings provide the eveidence of the decisions made by the leadership of Muintir na Tíre down through the years. 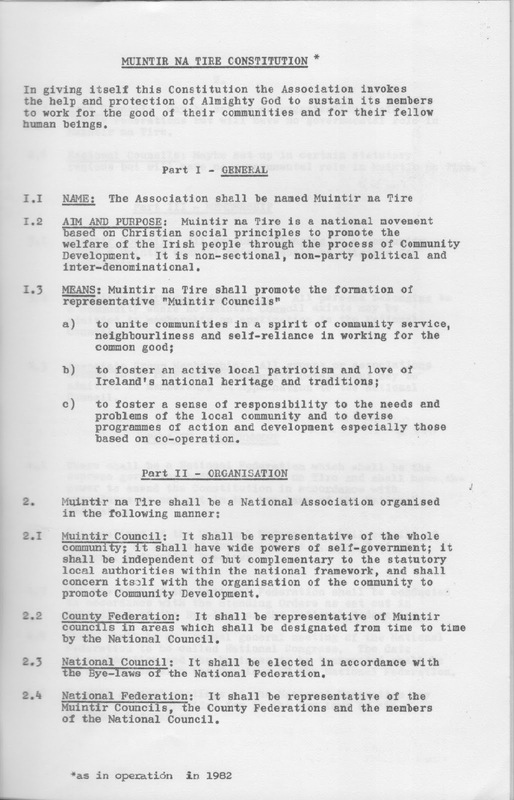 They also show the many discussions that took place on various issues that faced Muintir na Tíre and the many projects they got involved in. 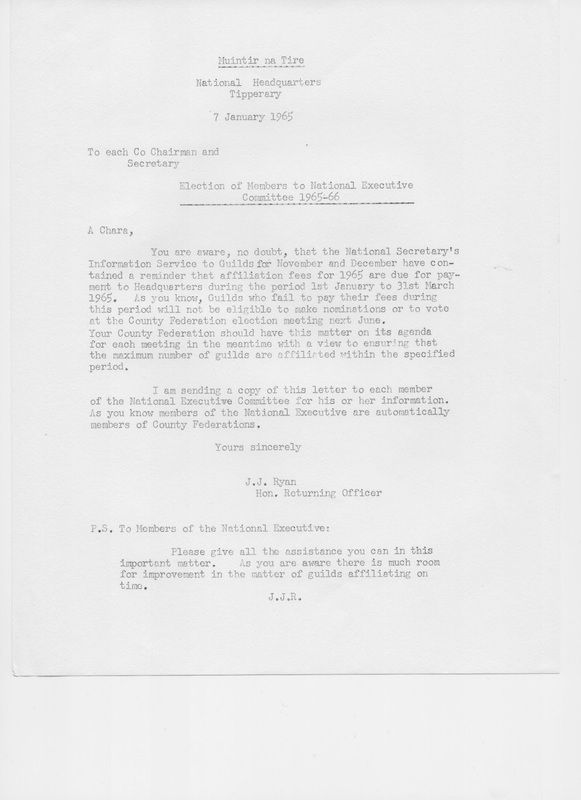 These records provide us with the evidence of how Muintir na Tíre was governed over the last 80 years. 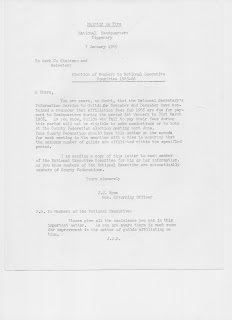 The descriptions for these records have been written and while you have to wait until the collection as a whole is catalogued before they are available for consultation, you can start thinking about how you can use this wonderful collection for your research purposes.